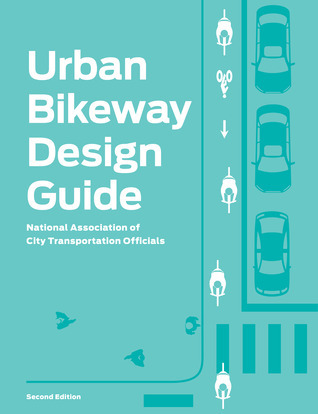 Urban Bikeway Design Guide, Second Edition by the National Association of City Traffic Officials is collected experience of the countries best bicycling cities. Here is a guide that looks at every conceivable design problem of making a city safe for cyclists. I live in a north Dallas suburb whose city has a Trail System Planner. I am a full time cyclist and do not have a car or driver’s license. I complete all my daily tasks using my bicycle. I follow the laws of the road. We have bicycle route signs posted throughout the city. We also have a trail system through the greenstrips, but offer no protected crossing when faced with crossing six lanes of traffic. Where there are protected crossings you are faced with the impossible seven second crossing light. To complicate matters, we also have fairly lawless roads. Spandex clad cyclists run stop signs and red lights individually and in groups. Cars do the same. The police are rather apathetic. I was hit by a car running a stop sign in a school zone. The police officer told me I needed to be more responsible because active school zones are dangerous places to ride a bike. Wow! Police tend to blame the victim here. Urban Bikeway Design Guide should in the possession of every city planner and city lawmaker. It shows proven methods on safely allowing bicycles in a city environment. Many people don’t ride their bicycles because they feel unsafe on the roads. They will load up their bikes in a car and drive somewhere to ride their bike. That defeats the whole purpose. Many people would ride to the store (a mile or two away) or the library, or work if they felt safe doing so. Urban Bikeway Design Guide provides non-intrusive solutions that work in other cities. From simple bike lanes, to more complex planning, this book does have the answers. It is frustrating to ride on a bike route and come upon a red light that will not change because the sensor will not recognize your presence, or when crossing in a crosswalk and getting hit by a vehicle making a right on red that didn’t bother looking left. One item repeatedly mentioned is keeping bike lanes clean and in good repair. In Texas the area near the curb (bike lane) is usually filled with debris: Broken glass, landscaping debris blown into the street, and sand from the ice storm two months ago. By creating a safe environment for cycling, more people will ride their bikes. A person on a bike is one less person in a car competing for position and a parking place. The current manifestation of the cycling plan for my city is to keep cycling dangerous to discourage people from riding. Blaming the victim is the easy way out for cities. Not enforcing traffic laws, although not covered in this book, also keeps cycling dangerous. Here, cyclists are just as guilty as car drivers. Bicycle club rides take on a critical mass mentality; they ignore traffic laws they are required to follow, and cry foul whenever they believe their rights are being taken away. This book presents a starting point for cities to follow. Proven results and a variety of solutions offer a solution for almost any city. I picked this book up earlier today with the intention glancing over it quickly and adding it to my “to read” pile. However, I was not able to put this book down. I could not stop thinking, “If only my city implemented some of this.” This is the definitive answer book. 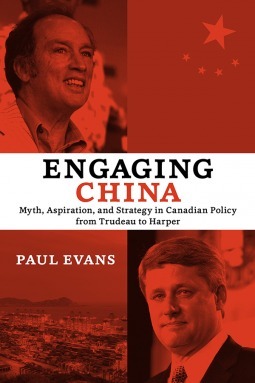 Engaging China: Myth, Aspiration, and Strategy in Canadian Policy from Trudeau to Harper by Paul Evans is the history of Canadian-Chinese relations over the last forty years. Evans is a professor at the University of British Columbia and currently teaches the Masters of Arts in Asian Pacific Policies Studies. He has an impressive academic history and is well published in his field. I chose this book primarily because of my background in international relations and wanted to compare United States policy, which I studied, to Canadian policy: Neighboring countries with a very similar background and heritage, but with different priorities in world affairs. For many Americans, this is an important book to read. Far too many Americans think of Canada as United States little brother falling lockstep with us much the same way they did with the British years ago. The United States likes having a well defined enemy and since the fall of the Soviet Union we have been looking for a suitable replacement. The terrorists are too vague, non centralized, and too intertwined into many friendly countries to be a suitable long term foe. China on the other hand, makes the perfect strategic rival and boogeyman for American policy… and they are communists too. Canada has taken a different road. Canada was late in recognizing the communist Chinese government. It took a while for Canadians to forget that they had fought Chinese soldiers in Korea. The Canadian approach was different than the US. Canada did not see China as leverage against the Soviets in the Cold War. Rather, it saw China as a market for its wheat and the opportunity to be China’s link to the West. It was a practical rather than a strategic relationship. Canada also differed from the United States in its policy of engagement, which is not as confrontational as it sounds. The Canadian policy has been one of inclusion rather than isolation. Inclusion tends to minimize confrontation and maximize cooperation. The Chinese would be much more willing to reform if they were an active member of the community rather than isolated. As an example, the United States isolated North Korea, but opened to Vietnam. Vietnam is allowing private businesses and trade with the West. The people are living better than they have been, but admittedly it is not perfect and has a ways to go. There have been improvements in Vietnam, but none in North Korea. Inclusion brings change; Isolation brings confrontation. Engaging China is a forty years study of of the policy of inclusion. It is also Canadian history. Perhaps the most interesting part is that there are no ideological tensions between, what Americans saw as life and death battle of, communism and capitalism. There are bumps in the road on issues like human rights and a slow evolution of peaceful policy. It is a very detailed diplomatic history. I do not think I highlighted a book this much since graduate school. It is a good history for all North Americans. For Americans, it will also provide a good comparison of policies. It is interesting how differently a country so ideologically, historically, and culturally similar to the United States has dealt with China. 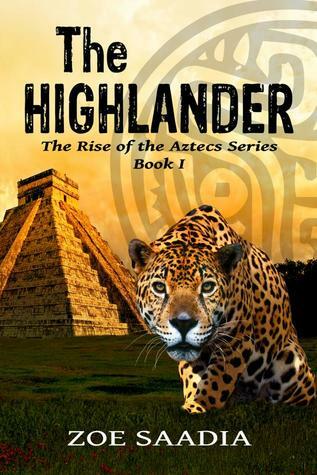 The Highlander: Rise of the Aztecs #1 by Zoe Saadia is the first in a series of early Mesoamerican historical fiction. Saadia has published a large collection of novels about the Central America’s indigenous peoples. Most Americans have heard of the Aztecs, but know them mostly from the bloody sacrifices and “savage nature.” There has been quite a bit of embellishment in the Aztec stories that most people know. My knowledge comes mostly from undergraduate history courses where the history begins with the Spanish contact. The indigenous people are given a passing mention: Aztecs are warriors, Mayans had primitive science, and the Incas had the gold. There is much more to these people than that, and historical fiction is a great way learn and enjoy. Historical fiction in the case of the Aztecs and surrounding city-states requires a bit of work on the author’s part. In American Civil War historical fiction, the characters need little development. We all have a good idea who Lincoln, Lee, Jackson, Grant, and Sherman are, and the mention of their name alone creates a ready made character in our minds. For Saadia, it is a bit more difficult as there are no readily recognizable figures from this time period and culture for the reader to instantly relate to. She has to create believable characters within the historical restrictions. The characters in The Highlanders are well developed and reflect the differences between the different groups that inhabit the area surrounding Lake Texcoco. The friction between different city states is reflected in the comments of the general public as well as the main characters. For a relatively small geographic region, there are very clear cut and deep feelings between neighboring peoples. The politics of the region is a main source of information in the story. Alliances, tributes, enemies, and diplomacy all play an important role in this story. Although this may be the driving force of the plot, events are viewed mostly through the eyes of the two main characters: Kuini and Coyotl. Kuini, is a highlander living outside the main city states surrounding Lake Texcoco. He is the next in line to be the Warrior Leader. Although considered barbarians, Kuini is quite the artist. Coyotl is the son or the ruler of Texcoco. He comes from privilege and civilization. The two meet accidentally and develop a friendship even though they homelands are enemies. To tie things together Coyotl’s sister is introduced as a major character along with an Aztec warrior/emissary. The characters weave the story together with their mutual experiences and keep the plot moving and tied together. The Highlander does historical fiction right. There is a plot that is true to history. The characters are well developed, likeable, and important to the story and the history. This is the kind of historical fiction that is educational and fun to read. It is not like read a history of Vietnam; It is more like having a veteran tell you his experiences in Vietnam. The Highlander has that same personal feel. More than reading history, you are experiencing history. Saadia is off to a great start with this book. Highly recommended. 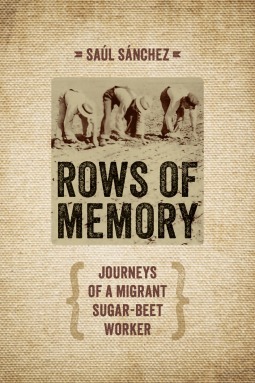 Rows of Memory:Journeys of a Migrant Sugar-Beet Worker is the memoir of Saul Sanchez, a boy who grew up as a migrant laborer in the 1950s and 1960s. He begins with journeys from Texas and moving north with the harvests. Rows of Memorycovers the author’s life from his grandparents until his graduation from college and leaving the fields. Rows of Memory provides a unique look into life as a migrant worker. Sanchez provides a level headed telling of his life without the bitterness I expected. He worked for good people and bad people and isn’t hesitant to tell the reader. He gives a detailed account of the work that had to be done and the tools used. The short hoe in one hand to thin and weed and the other hand to push aside the sugar beet. I was a bit surprised to learn about sugar beet production in the US. I had known that it was a European and Russian crop. What I did not realize is that more than half of the US sugar production is from sugar beets. Sanchez does tell the highs and lows of the life. Education is particularly difficult. Every year children had to leave school before the summer break to harvest and stayed out until well into the next school year. There were problems in non-segregated schools with race and also in poor segregated schools also. One segregated school was known as “The Camp.” The fun sounding name, however, came from the schools previous use as a Japanese internment camp. Pay evolved too for the workers and not for the better. In fact, it started to spiral downward. In his early years he remembers the new cars some workers drove and having pocket money. In his later years he tells of returning his father’s car back to the dealership because he could not afford the payments. There are political struggles and political growth among the workers as they grow and become part of society. Sanchez’s journey is not an easy one and it is also not an easy victory. Some of it is luck, but most of it is hard work. There is little doubt that he came from a hard working family and that has a very positive effect on him. His father is another important factor, in allowing Sanchez to attend college rather than work the fields. He does get some scoffs for saving his money for college from some family members. Rows of Memory is a very well written look back on one man’s life who rose above his station and become a university professor. It is a balanced look and seems to be a very fair assessment of his life and the world about him. It is filled with both good and bad memories and good times and struggles. For every victory there are setbacks and at times great frustration and stress. Rows of Memory provides both a history of migrant workers in the US and a biography well worth reading. Omar Valerio-Jimenez provides a lengthy and informative introduction to the memoir. 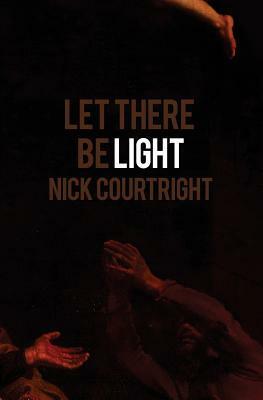 Let There Be Light by Nick Courtright is a collection of poetry with the biblical creation story, in reverse, as a theme. Courtright previous collection of poetry, Punchline, was a 2012 finalist in the National Poetry Series. He has been working as a music journalist for The Austinist. I was surprised to learn that we are both from large families in Ohio and currently live a few hours apart in Texas. Courtright works the creation story in reverse starting on the day of rest and working his way back to “Let there be light.” It is not a religious collection of poetry as such but uses the theme. Courtright, obviously, has some science knowledge from his included “Note” at the end of the collection. He gives a calendar comparison of fourteen billion years and the seven days. Most of the poems are a loose style of poetry, but nothing too extreme in style or subject. The writing is easy to follow and the poems are well writing and enjoyable regardless of your stance on creation or science. The theme is also rather loosely held. A few poems jumped out at me. In the Sixth Day section the poem “Brief Essay of Sameness” introduces some philosophers. The poem “Intelligent Design” plays an interesting thought game by taking thirty years of life and examining how long it is when expressed in seconds, hours, days and then how short it is compared to the time man walked on earth, then primate, then mammals. Taken even further as the fraction of time since the earth formed and finally compared the big bang. The last bit of math magic compares nanoseconds, thirty years, and one hundred light years. Complex science/mathematics in a poem. Rather refreshing. Let There Be Light is a smart, well written collection of poetry that is very enjoyable to the read. Despite the title and theme it is not a religious work, but more so philosophical or spiritual. A top shelf edition to my poetry bookshelf. 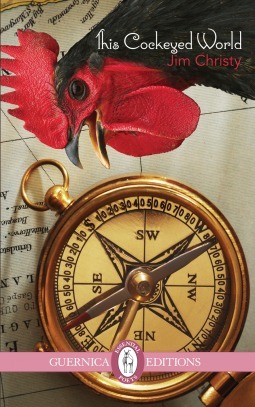 This Cockeyed World by Jim Christy is his latest collection of poetry. Christy was born in Virginia in 1945 and raised in the notorious ghetto of South Philadelphia. He moved to Canada in 1968 and became a citizen in 1974. Christy is an a talented artist as well as a poet. Every so often I come across a poetry collection that completely wows me. Last year it was Helen Mort’s Division Street. This year the wow came early. This Cockeyed World starts early and does not let up. The poems seem modern, but I kept catching dated references to the sixties and World War II. Kerouac, Ginsberg, and Mussolini all make an appearance. “‘Couver Blues” is a tale of escape from the dark and rainy city. The poet travels in his words to places where life may be better, but all have their drawbacks too. Once he covers all the places he knows, he sees the sun peeking through and forgets all the other places because now he can lose his ‘Couver Blues. The imagery and emotion in the poems are fantastic. It does not take the reader long to realize this is what poetry is about. Some of the poems are near ballads and it seems at times the reader is not reading the poem but listening to a bard weave a tale. Other poems like “Heading North” take the reader on an adventure to find peaceful existence. With today’s very free verse and experimental poetry, it is refreshing to read such a clear and mostly traditional collection. Christy is a true artist with words. His range of subjects and the ability to capture a moment is superb. This is a must read collection. The Rise of the Huskers picks up where Operation Z Day ends. Raven and her roommates are still holed up in the cabin. The Huskers are humans who higher brain functions have been destroyed by a virus that now stay alive on instinct alone. The Huskers search for food and their first choice of food is uninfected humans. They are, for all practical purposes, zombies in the traditional Hollywood sense. If the Huskers were not enough to worry about, a coup in the neighboring Indian reserve brings to power a new chief who wants all the historical back including the town of Banff. Not only do they want the land back, they want all the town’s people off their land. Zygmunt and the girls gather up the uninfected people of Banff and hole up in a hotel to defend against two enemies. The virus that turns people into Huskers destroys all higher brain functions cerebrum: reason, memory, problem solving. What happens when the virus does not destroy all higher functions? You have a leader and organizer of the Huskers. An extremely dangerous adversary. A moral question is also brought up. If the Huskers are humans and sick, is it right to hunt and kill them? Can they be cured? Without any government or military help to be found, does it really matter? 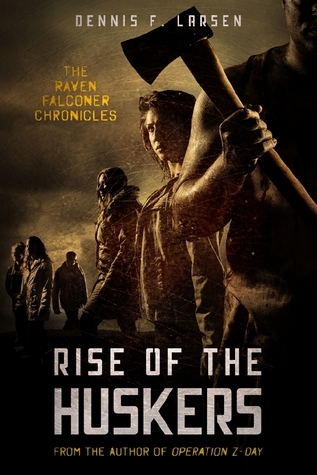 The Rise of the Huskers is an action packed and fast paced sequel to Operation Z Day. It is smart and well written. The storyline is one of the most believable “zombie” series I have read. I am looking forward to the third installment of this series. Great characters and a great story make for a great afternoon of reading.